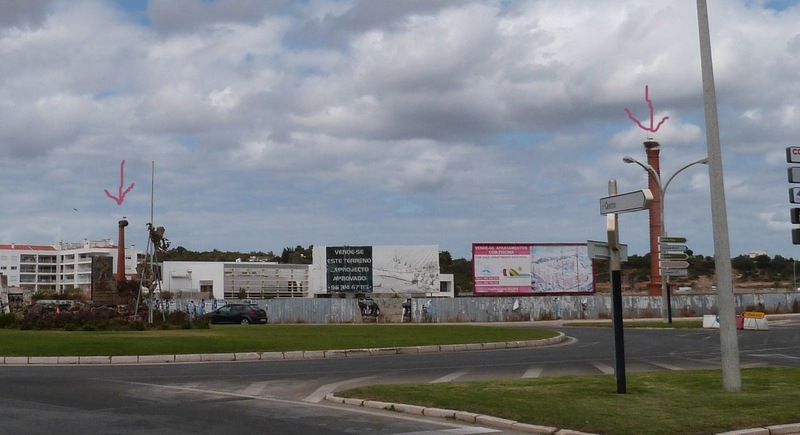 Last Tuesday my husband and I (gosh there’s that Queen bit again) set off to Lagos, a town more towards the western area of the Algarve. I needed to go to my optician’s to get my glasses fixed. 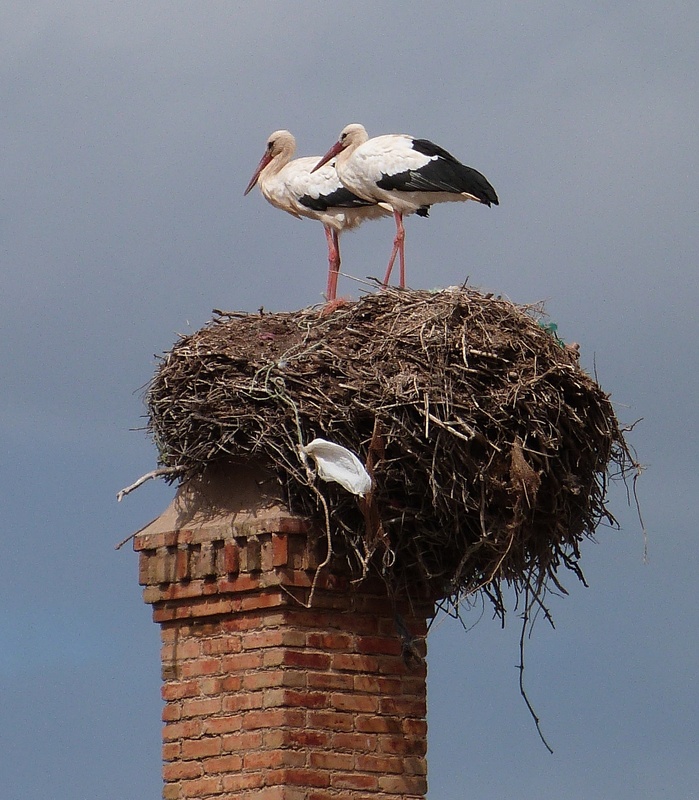 I joked with Ian that I was going to take some photographs of the storks on their nests knowing that at this time of year they have started their winter migration to distant shores. 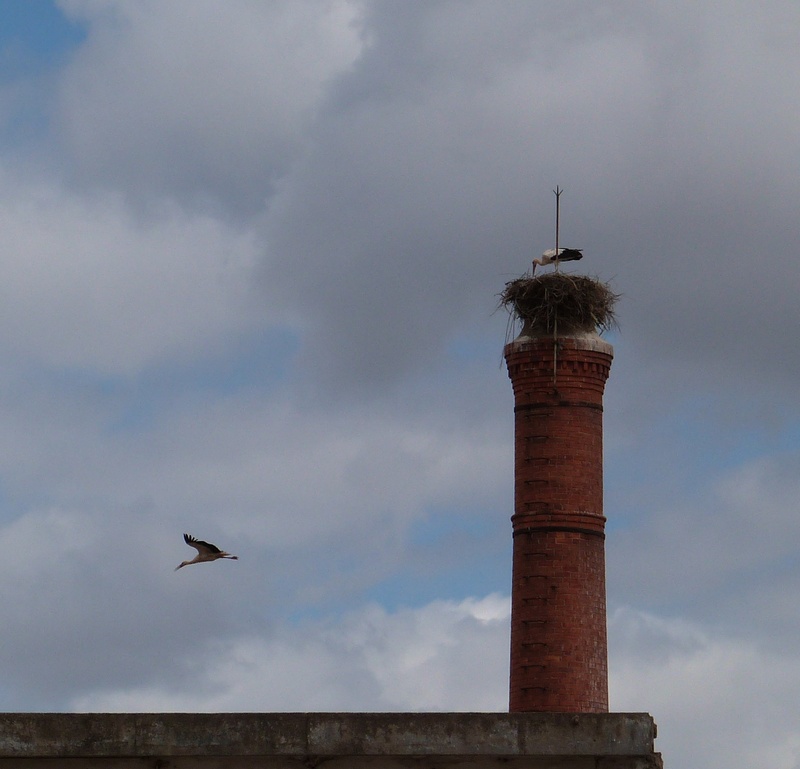 Well you could have knocked me down with a feather, a stork feather in fact, when we first spotted a lonely stork sitting on a nest on top of the Portimão Bridge. What on earth, we thought, is it doing here. There was nowhere to stop on the bridge to take photos so I sat in the car disappointed to have missed a photo opportunity. My glasses were very quickly repaired and after a cup of coffee we decided to make a trip to the Marina in Lagos. Camera at the ready to snap the boats jiggling and jogging in their winter moorings. 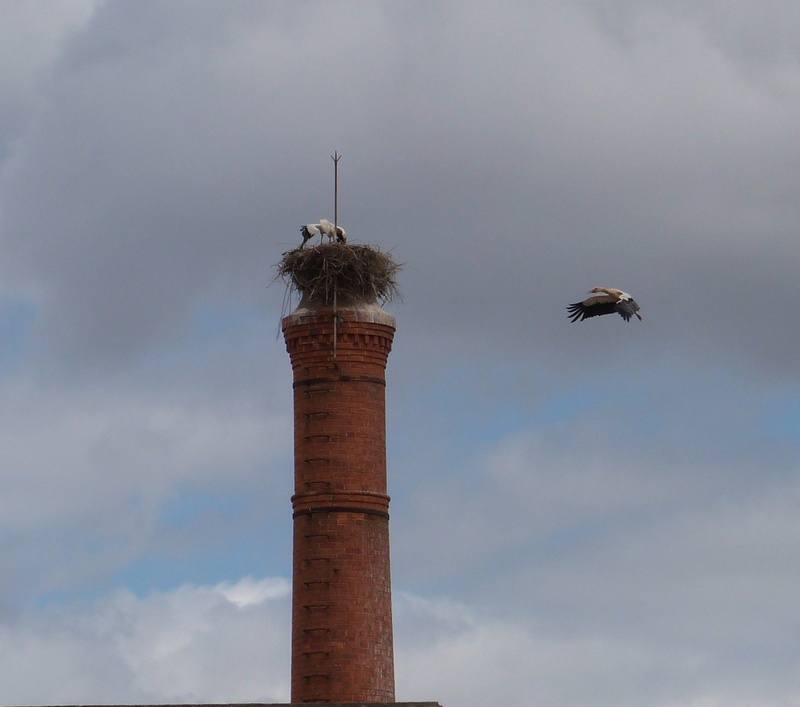 We managed to park our car quiet near to the marina and it seemed that no sooner had we left the car park, we were delightfully surprised as we spotted the storks on their nests. Two nests in fact, I’ve marked the nest sites with red arrows on the photograph as we were some distance from them and they don’t show up too well. Gosh, the camera was quickly put into action and the zoom lens made good use of. I’ve never photographed nesting birds before so I had my fingers crossed that I knew enough about the camera to capture something of them. I am rather pleased with the results, what a bonus. The adults on one nest were very busy flying in with food and then changing over so that the other went off to collect a delicacy for their young one. Oh, yes I didn’t forget to get a few photographs of the boats in the marina but I’ll leave that for another day. Oh thank you so much, I’m really trying to learn the techniques required for this type of photography. The storks in Lagos are amazing! I’ve learned to use the scn mode then high selec: speed burst. This is purely so I can take many photos very quickly, especially when the birds are in in flight. You’ve put me in the mood for a sunset drink at the mariana…I love it! Thank you for your advise about scn mode I haven’t as yet played with this function. 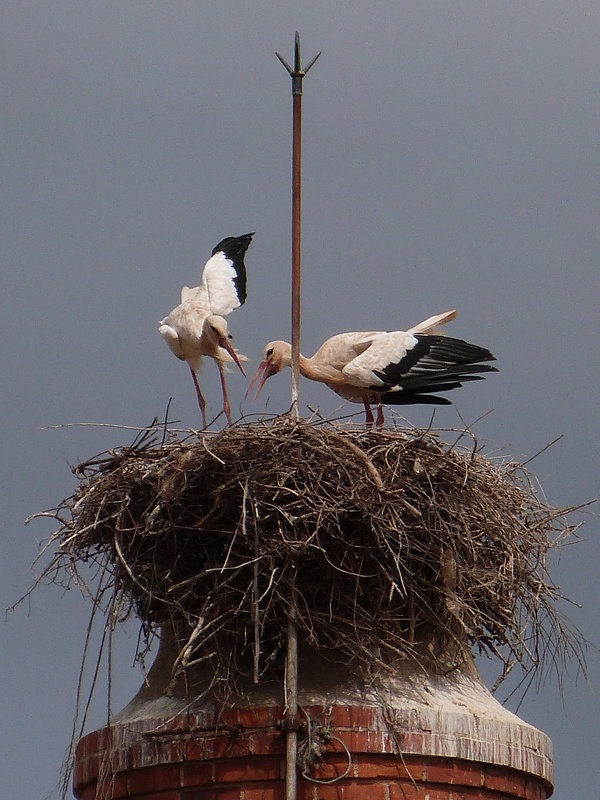 Agree that the Storks do seem to manage to live amongst people very well. Thank you, one of your blogs said to keep your camera with you at all times and that’s a bit of advice I’ve taken on board. Mind you the birth rate in Lagos has increased mmmmmmmmmm I wonder…….. I hadn’t even thought of that one ! Thank you I’m learning all the time. Caught the moon this morning!